Hello friends I hope you are well, it almost starts the weekend and we spend more time in the kitchen to prepare a dessert, or a different dish because in the week many people work and do not have much time for cooking, others for lack of time they eat on the street, that's why on the weekend they should eat healthy and also rest. 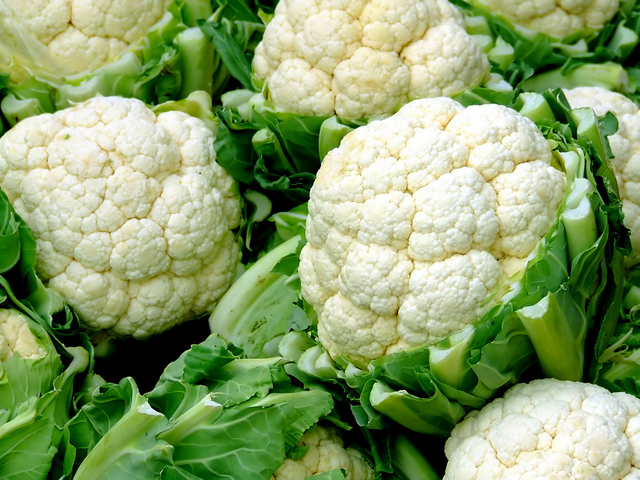 Today I want to tell you a little about the cauliflower, it is a vegetable belonging to the cabbage family. The part that is consumed is the flower or inflorescence, very appreciated for its flavor, it can be used in different ways, both raw and cooked, as a child I always call attention to the cauliflower because of its shape and white color, I remember at home what they cooked steamed to make salads, the smell permeated the whole house, but it was not until big that I tasted it since as a child I did not want to eat it and nobody forced me. Not only is there white cauliflower there is also green and purple, China is the main producer of cauliflower, although this vegetable is grown all over the world. Its nutritional properties are similar to those of the rest of the cabbages, it is an advisable food in weight loss diets, since it has few calories and a lot of fiber. It is a food rich in vitamins and minerals, prevents diseases of the heart and intestine. The cauliflowers are at their best between the months of September and January, but we can have them throughout the year, when buying a cauliflower, it is advised to choose the specimens that present a clean, firm and compact mass, with green and tender leaves. A very curious fact about this vegetable is that it can be kept frozen, for this we select those buds that are firmer and white and are placed for a few minutes in boiling water, in this way can be maintained for a period of about eight months . 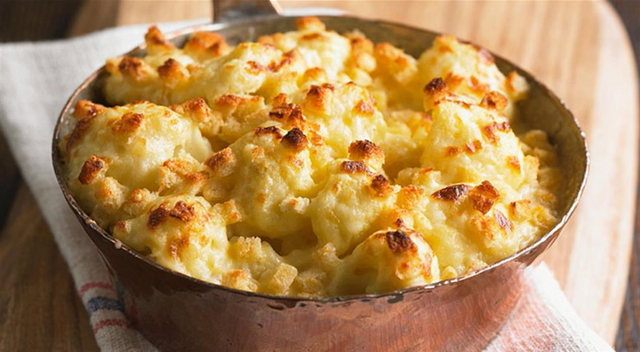 I will share a recipe with cauliflower, there is a lot of variety that can be done with this vegetable I will show you other recipes in the next days. We divide the cauliflower into small bouquets and cook it in a pot with little water and a pinch of salt, leaving it to boil for 10 to 15 minutes, while it is cooked, we beat the milk together with the eggs when we have a homogeneous and fluid mixture, we add half the cheese and the rest we leave to put it grated on top. Then, we remove the cauliflower from the fire and drain it well, put it on a tray and bathe it with the previous mixture, covering it with the cheese that we had and a pinch of black pepper. Preheat the oven to 180 degrees, bake for about 20 minutes, until golden brown, set aside and served very hot, along with a dash of oregano and black pepper. waoo, I'm Venezuelan and that's my favorite cauliflower recipe, well I also prepare broccoli that way, I love it and I do not get tired of eating cauliflower. Congratulations.